Weight 1lb 6oz (0.90kg), lid diameter 11.5'' (29.5cm), lid height 2.5" (6.7cm). James Whetlor founded Cabrito after keeping a few goats to solve a land management problem. He was cooking at River Cottage at the time and a few of the goats ended up on the menu. After seeing how well the kids sold, James thought perhaps there was a market for kid goat meat. Turns out there was. 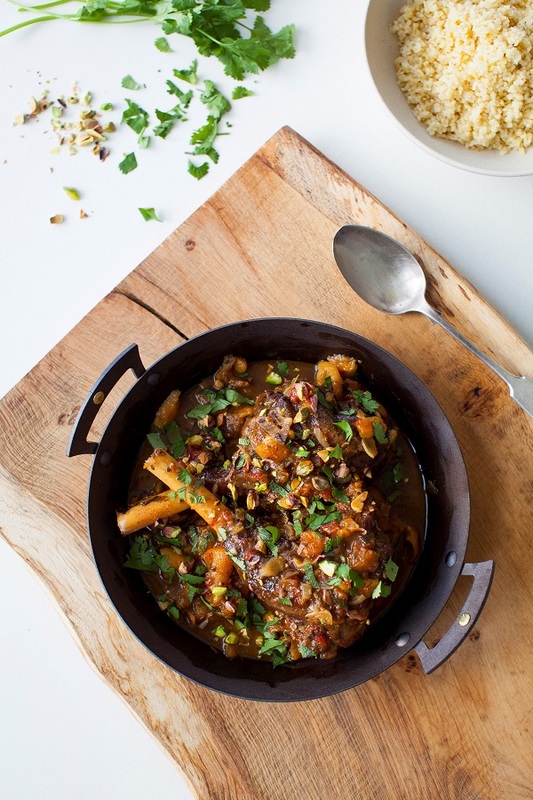 The recipe for Kid Shank, Apricot and Pistachio Tagine can be found on our: Iron Frying Pan Recipes. Why choose a pre- seasoned Spun Iron Casserole ? 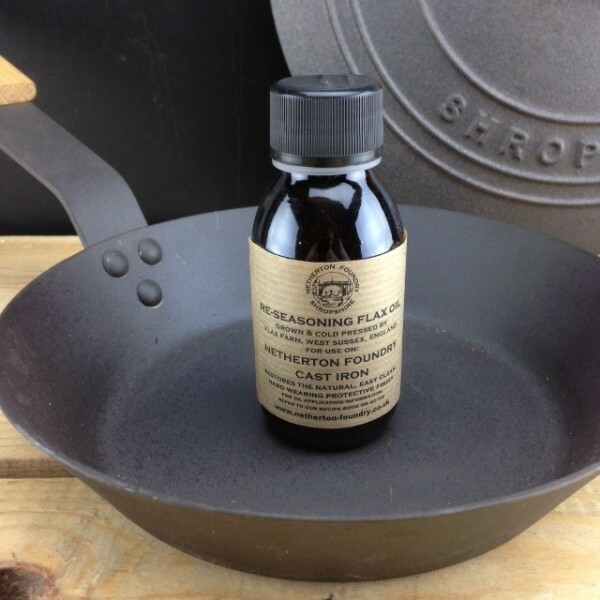 The edible Sussex flax oil coating is easy to wash & naturally non-stick. It is ready for immediate use. Why use an Spun Iron casserole (pan & lid) ? DJ BBQ using a Prospector pan and charcoal BBQ on ITV's This Morning Programme. A short video showing you how to give your frying pan or wok a quick freshen up. 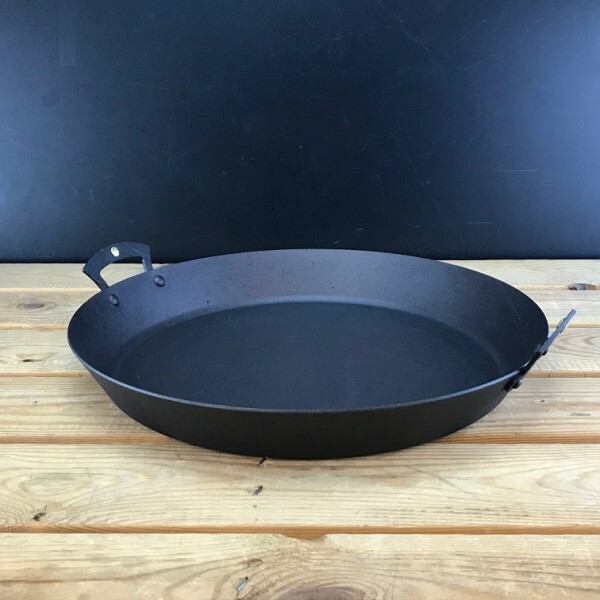 Also have a look at all our pan care advice including the original "oven method"
Love your pan and follow our instructions for re-seasoning. Oven seasoning is kinder to the pan than hob top seasoning and it also give a nicer looking finish. We suggest that you only use hob top seasoning, if your oven is too small for your pan or you are re-seasoning your wok.